We aim to make your experience at the practice as pleasurable as possible. However, if you have any complaints please contact reception who will deal with your complaint discreetly and talk you through our procedure. Alternatively, you can pick up a copy of the procedure from reception. 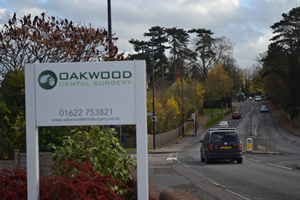 If you have any complaints, concerns or comments about your experience of our practice, please let us know. Contact Lisa Kinslow on 01622 753821 or email reception. If it is a complaint then Lisa can explain our complaints procedure. A copy of our complaints procedure is available from reception. We take patient confidentiality extremely seriously and have systems in place to protect all your personal information. All patients records are stored securely. We do not release information to third parties without your express permission unless the information is required by law. A copy of our practice confidentiality policy is available at reception. You can also request information about your rights to view your records.